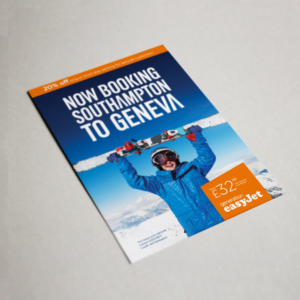 #InTheStudioThisWeek: EasyJet has taken off at Southampton Airport! 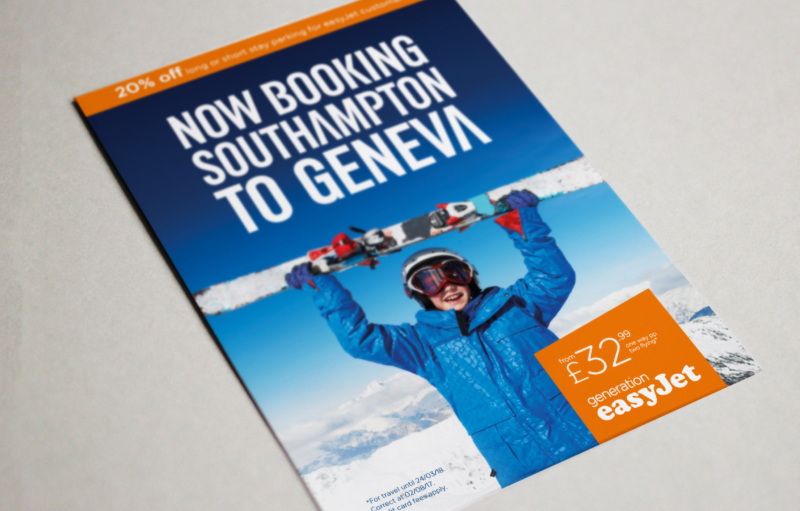 The first flight on the new easyJet route from Southampton Airport to Geneva took place this week, and we’ve been helping the airport by designing promotional items, mailers and new artwork for the airport. We normally like our design work to take the limelight, but it was slightly over-shadowed by the appearance of a special celebrity guest at Southampton Airport; Eddie the Eagle! Keep an eye out for the new easyJet wall graphic appearing in the terminal soon and, who knows, you may even be a lucky recipient of the mailer in the next couple of weeks. 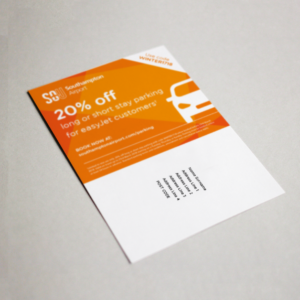 easyJet are low-cost European point-to-point airline. They use their cost advantage and number one and number two network positions in strong markets to deliver low fares and operational efficiency on point-to-point routes, with their people making the difference by offering friendly service for their customers. Their sustainable business model makes travel easy and affordable and drives growth and returns for shareholders. Southampton Airport is a regional airport owned by AGS Airports Ltd. They serve around 40 direct European destinations with great onward connections to the world via Amsterdam with KLM. They benefit from fantastic transport links located just off the M27 and M3 and with Southampton Airport Parkway train station only 99 steps from the main terminal. For more information take a look at our facts and figures or find out about their interesting history.